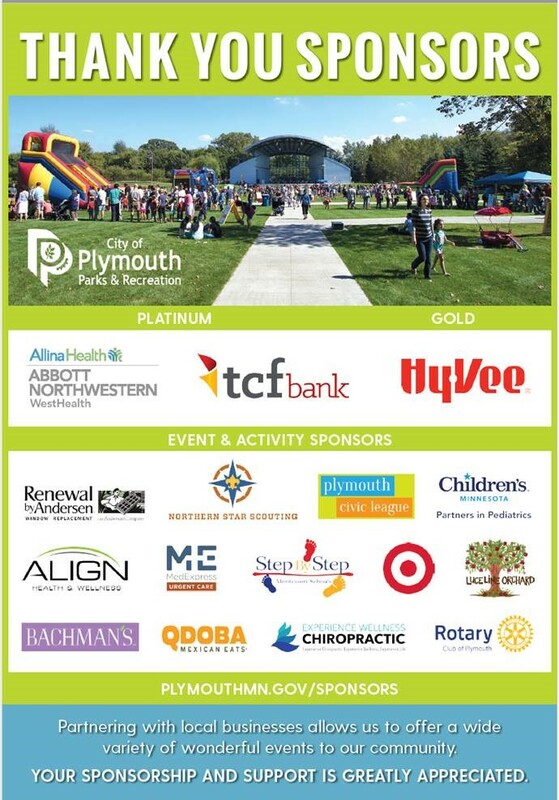 Thank you so much for your 2018 Sponsorship, we greatly appreciate the support of your businesses for our community events this past year. Our thank you ad will be running in the Sun Sailor on December 13th a copy is attached! We just finalized our 2019 Sponsorship packages and would like to give you the first opportunity to contribute/select events for 2019. If you would like to sponsor a package next year please fill out the attached and I will reserve you a spot. Again, thank you and we appreciate all that you do for the community! And for those of you planning ahead, here is the 2019 Plymouth Sponsorship Pack.